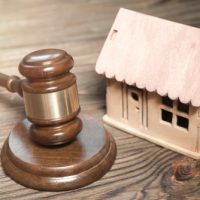 Nevada is a community property state, which means that any asset or debt acquired during the marriage will be equally divided between the spouses during a divorce, absent a compelling reason to make an unequal division. However, when determining which assets are community assets, sometimes there will be confusion and questions over certain assets which should be, in theory, separate from the community property. Sometimes these assets remain separate and are easy to identify, but sometimes they will be ruled to have become community property. In the event that happens, it is important to understand how and why. Separate property (assets owned by either spouse before the marriage) becomes commingled when 1) community funds are used to maintain it; 2) it is either used as if it were community property; or 3) it is so hopelessly combined with community property that determining the difference is impossible. Common examples are paying the mortgage or other payment on a previously owned asset with community funds, or depositing separate funds into a joint account. It is possible to have property that contains both community and separate components, such as a pension fund or other retirement instrument like a 401(k). There are specific rules for determining the separate and community portions of those assets. Generally, Nevada law holds that any increase in value that happens after the marriage counts as community property, however if there was no active effort to increase the value during the marriage, some or all of that increase can be determined to be separate property. It can be quite difficult to keep separate property separate, especially since any income earned by either spouse after the start of the marriage counts as community property and maintaining an asset as separate is easiest when no community funds are used to enrich it or pay it off. There are certain tactics which can be used to clearly delineate separate property. A prenuptial agreement is one tactic which can be used, by including provisions that explicitly delineate certain assets as separate property, and these agreements will generally be honored with very few exceptions. The other types of property that will remain separate, even if received during the marriage, are gifts and inheritances. If these are granted solely to one spouse, they will remain the property of one spouse so long as they are not comingled. Determining property division can be surprisingly complex, even in a community property state like Nevada. If you have questions regarding your specific case, the attorneys at the Kainen Law Group have experience with these situations, and would be happy to try and assist you. Contact our Las Vegas office today at 702-823-4900 to set up an appointment.